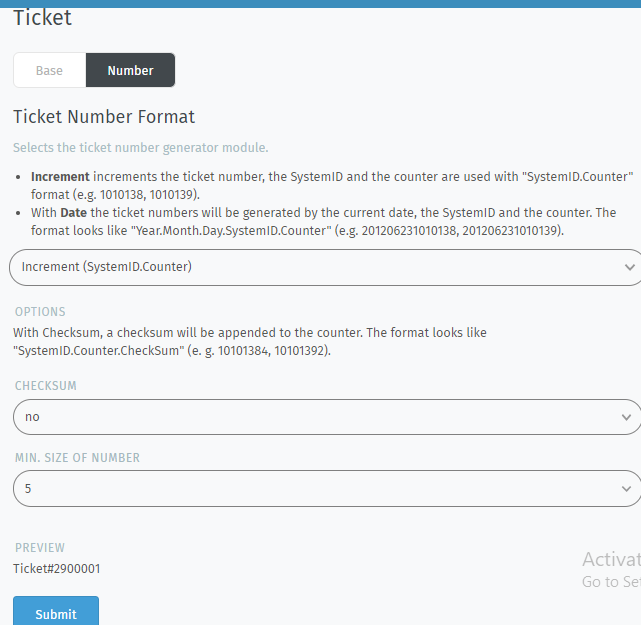 The identifier for a ticket, e. g. Ticket#, Call#, MyTicket#. The default is Ticket# and ticket hook positioning is the format of the subject. 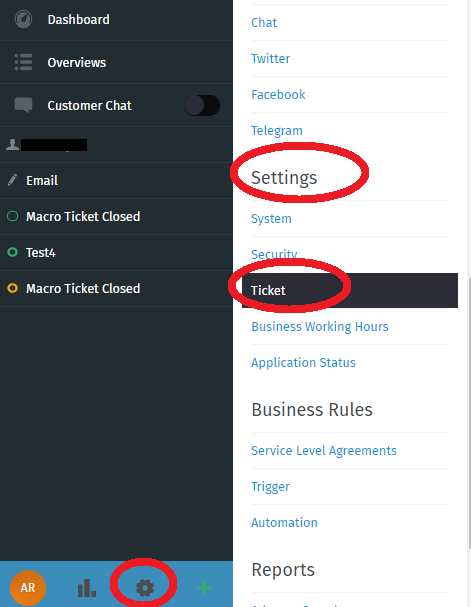 Go to AriticDesk Dashboard > Admin > Settings > Tickets. Click on “Number”, and enter the required details accordingly.